What makes the ABB FIA Formula E Championship so exciting? Its unpredictability and variety is certainly one factor. While in other racing series there have only been three different winning teams in more than half a decade, the up-and-coming electric racing series delights its fans with surprises such as the Indian Mahindra Racing team. In contrast to other racing series, the ABB FIA Formula E Championship is designed to allow even ostensibly smaller teams to beat the major racing team through a combination of solid work and some often brilliant ideas. And that’s why, after two races, it’s the Indian team MAHINDRA RACING with their driver Jérôme d’Ambrosio that leads the championship. But who is this team, and who are the people behind it? Quick facts about quick successes. While in Europe the company is (still) known more for its tractors, in India Mahindra is one of the largest and most important automotive manufacturers. It’s an enterprise based in Mumbai, employing over 180,000 people in more than 100 countries. Mahindra is also a 70 percent stakeholder in the South Korean automotive concern Ssang Yong. Mahindra Racing, the company’s racing team, was founded in 2011. The company bosses had previously speculated about investing in Formula One, but then decided to go a completely different route: Mahindra Racing was active in Grand Prix motorcycle racing for seven seasons (2011 – 2017), bringing it three wins and 13 podium places. Incidentally, the first few of them were won by today’s KTM MotoGP rider Miguel Oliveira. In 2017, Mahindra announced its withdrawal from Grand Prix motorcycle racing. "We want to focus exclusively on Formula E. That’s where we see the future." 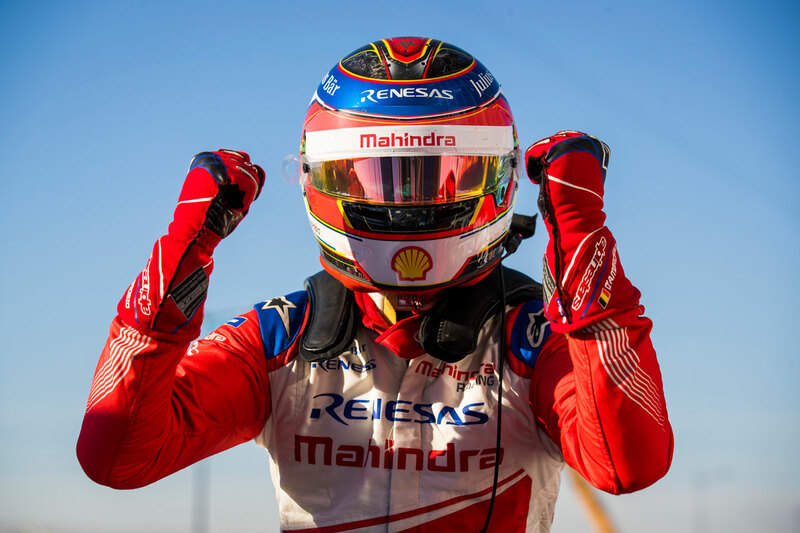 In the ABB FIA Formula E Championship, Mahindra Racing is a team with form. On November 28, 2013, the Indian racing team was presented as the eighth to sign up to Formula E, taking part in the series’ first ever race, in Peking on September 13, 2014. Featuring Karun Chandhok, India’s internationally most famous race driver, Mahindra Racing started from the second row on the grid right from the beginning. During the race this former Formula One driver came in fifth, but just ahead of Jérôme d’Ambrosio who was driving for Dragon at the time. During that same race, the other Mahindra driver drove too roughly over the curb in the first curve on the first lap, forcing him to stop his car with a defective front suspension just a few meters later. That made Bruno Senna—nephew of the legendary Ayrton—the first driver in Formula E history who had to stop during a race. The importance Mahindra Racing attaches to the ABB FIA Formula E Championship is demonstrated by the fact that the Indians develop their own powertrain, rather than sourcing it from another company. Since 2016, their partner in these endeavours has been Italian company Magneti Marelli. The cars are run in cooperation with the Spanish racing team Campos Racing; the British Carlin Team was only used in Season 1. 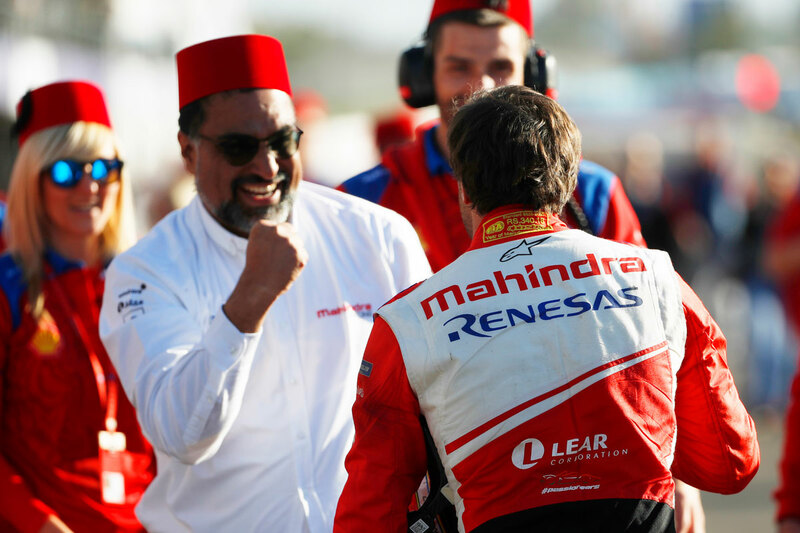 In the ABB FIA Formula E Championship charismatic team boss Dilbagh Gill is the face of Mahindra Racing. He is the heart and soul of the team. Gill has worked for Mahindra Racing for around two decades. 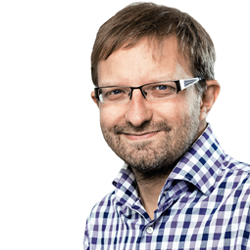 During a joint project with FIFA, he was also one of the key managers behind the software for the 2010 football World Cup in South Africa. Gill was appointed team boss of Mahindra Racing in 2013. His good relationship with his former drivers is typical of this communicative Indian: Nick Heidfeld is now his personal adviser, while Felix Rosenqvist, who wants to make a career in the USA, steps in as a replacement driver as required. Heidfeld also forms a curious link between Formula One and Formula E: in the history of the two series, this driver from Mönchengladbach is the one with the most top three placings—but without ever having actually won a race. Jérôme d’Ambrosio, who lives partly in Vienna, leads the championship after two races. He has driven in every single Formula E race run so far, but only joined Mahindra Racing this season. Pascal Wehrlein drove in Formula One for Manor GP and Sauber, and became DTM champion in 2015. In addition to his job with Mahindra Racing, the ex-Mercedes junior is now also a test driver for Ferrari F1. Many experts had tipped Wehrlein, whose mother comes from Mauritius, as a future Formula One champion. So it’s now possible that one day he’ll be a champion in the pioneering Formula E series. Sounds similar, yet is completely different. "In a Formula E race and on these city circuits it’s your driving skills that can still make the difference. That’s what I love about it."